lack of musculature beyond the first segment of antenna. Johnston's organ in pedicel (second segment) of antenna. This organ is a collection of sensory cells that detect movement of the flagellum. The relationships of primitively wingless insects to each other and to winged insects (pterygotes) is well established, with a few exceptions. One notable feature linking Thysanura + Pterygota is the presence of two articulations on each mandible. Archaeognathans have only one mandibular condyle or articulation point; they are "monocondylic". Thysanura + Pterygota, with their two mandibular condyles, are sometimes called Dicondylia. The many other apomorphies linking Dicondylia are described in Kristensen (1991). It is possible that the thysanurans are not themselves monophyletic; Thysanura (exclusive of the family Lepidothricidae) plus pterygotes may be monophyletic, with lepidothricids sister to this complex (Kristensen, 1991). Boudreaux, H. B. 1979. Arthropod Phylogeny with Special Reference to Insects. New York, J. Wiley. Carpenter, F. M. 1992. Superclass Hexapoda. Volumes 3 and 4 of Part R, Arthropoda 4 of Treatise on Invertebrate Paleontology. Boulder, Colorado, Geological Society of America. Carpenter, F. M. and L. Burnham. 1985. The geological record of insects. Annual Review of Earth and Planetary Sciences 13:297-314. Caterino, M. S., S. Cho, and F. A. H. Sperling. 1999. The current state of insect molecular systematics: a thriving tower of Babel. Annual Review of Entomology 45:1–54. Chapman, R. F. 1998. The Insects: Structure and Function. Cambridge University Press, Cambridge, U.K., New York. Daly, H. V., J. T. Doyen, and A. H. Purcell III. 1998. Introduction to Insect Biology and Diversity, 2nd edn. Oxford University Press, Oxford. Dindall, D. L. 1990. Soil Biology Guide. New York, John Wiley & Sons. Engel, M. S. and D. A. Grimaldi. 2004. New light shed on the oldest insect. Nature 427:627-630. Evans, H. E. 1993. Life on a Little-Known Planet. New York, Lyons & Burford. Gereben-Krenn, B. A. and G. Pass. 2000. Circulatory organs of abdominal appendages in primitive insects (Hexapoda : Archaeognatha, Zygentoma and Ephemeroptera). Acta Zoologica 81:285-292. Grimaldi, D. 2001. Insect evolutionary history from Handlirsch to Hennig, and beyond. Journal of Paleontology 75:1152-1160. Hennig, W. 1981. Insect Phylogeny. New York, J. Wiley. Klass, K. D. 1998. The proventriculus of the Dicondylia, with comments on evolution and phylogeny in Dictyoptera and Odonata (Insecta). Zoologischer Anzeiger 237:15-42. Kristensen, N. P. 1975. The phylogeny of hexapod "orders". A critical review of recent accounts. Zeitschrift für zoologische Systematik und Evolutionsforschung 13:1–44. Kristensen, N. P. 1981. Phylogeny of insect orders. Annual Review of Entomology 26:135-157. Kristensen, N. P. 1995. Forty years' insect phylogenetic systematics. Zoologische Beiträge NF 36(1):83-124. Kukalová-Peck, J. 1987. New Carboniferous Diplura, Monura, and Thysanura, the hexapod ground plan, and the role of thoracic lobes in the origin of wings (Insecta). Canadian Journal of Zoology 65:2327-2345. Labandeira, C. C., and J. J. Sepkoski, jr. 1993. Insect diversity in the fossil record. Science 261:310–315. Larink, O. 1997. 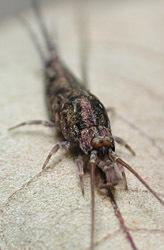 Apomorphic and plesiomorphic characteristics in Archaeognatha, Monura, and Zygentoma. Pedobiologia 41:3-8. Merritt, R. W. and K. W.Cummins, eds. 1984. An Introduction to the Aquatic Insects of North America, Second Edition. Kendall-Hunt. Naumann, I. D., P. B. Carne, J. F. Lawrence, E. S. Nielsen, J. P. Spradberry, R. W. Taylor, M. J. Whitten and M. J. Littlejohn, eds. 1991. The Insects of Australia: A Textbook for Students and Research Workers. Volume I and II. Second Edition. Carlton, Victoria, Melbourne University Press. Pass, G. 2000. Accessory pulsatile organs: Evolutionary innovations in insects. Annual Review of Entomology 45:495-518. Snodgrass, R. E. 1935. Principles of Insect Morphology. McGraw-Hill, New York. 667 pp. Snodgrass, R. E. 1952. A Textbook of Arthropod Anatomy. Comstock Publishing Associates, Ithaca, N.Y. 363 pp. Stehr, F. W. 1987. Immature Insects, vol. 1. Dubuque, Iowa: Kendal/Hunt. 754 pp. Stehr, F. W. 1991. Immature Insects, vol. 2. Dubuque, Iowa: Kendal/Hunt. 974 pp. Wooton, R. J. 1981. Paleozoic insects. Annual Review of Entomology 26:319-344. Smithsonian Institution Department of Entomology. MCZ Entomology Primary Type Specimen Database. Entomology Department. California Academy of Sciences. The Essig Museum of Entomology. Berkeley, California. Insect Division. University of Michigan Museum of Zoology. Insect Ecology in New Guinea. Introduction to Insect Biology & Classification. The University of Queensland. 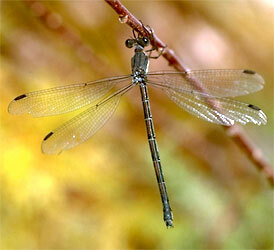 Virtual Exhibit on Canada's Biodiversity: Insects. Entomological Data Information System (EDIS). Staatliches Museum für Naturkunde Stuttgart, Germany. Compendium of Hexapod Classes and Orders. North Carolina State University. Nomina Insecta Nearctica. A Checklist of the Insects of North America. Common Names of Insects in Canada. Entomological Society of Canada. The Canadian National Collection (CNC) of Insects, Arachnids and Nematodes. Singing Insects of North America. By Thomas J. Walker (crickets and katydids) and Thomas E. Moore (cicadas). Entomology Database KONCHU. Species Information Database on Japanese, East Asian and Pacific Insects, Spiders and Mites. A Catalogue of the Insects of South Africa. Directory of Entomology Departments and Institutes (DEDI). Chemical Ecology of Insects. John A. Byers, USDA-ARS. elin. Entomology Libraries and Information Networks. Popular Classics in Entomology. Colorado State University. Book of Insect Records. University of Florida. Alien Empire. Companion piece to a PBS Nature program. Entomology Index of Internet Resources. Iowa State University. Entomology on the WWW. Colorado State University. Entomology on the WWW. Michigan State University. Hawaiian Insect Image Galleries. Bishop Museum. Entomology Image Gallery. Iowa State University. Reference Library of Digitized Insect Sounds. Richard Mankin, Center for Medical, Agricultural and Veterinary Entomology, Gainesville, Florida. Fossil insects from Florissant (Colorado). Peabody Museum of Natural History. Stewart Valley Fossil Insects. California Academy of Sciences. Amber and Copal: Their Significance in the Fossil Record. Hooper Virtual Natural History Museum. The Natural History of Amber. 3 Dot Studio. Frozen Dramas. Swedish Amber Museum. Nature's Preservative--Organic Flypaper: Amber Gives a Green Light to Study of Ancient Life. The Why files. University of Wisconsin. Baltic Amber Inclusions. Wolfgang Wiggers. Dominican Amber Fossils. ESP Designs. The Amber Room. Steve Kurth. Thomas Say (1787-1834), father of American entomology. Famous Entomologists on Postage Stamps. bugbios. Shameless promotion of insect appreciation by Dexter Sear. O. Orkin Insect Zoo. National Museum of Natural History. Smithsonian Institution. Bug Camp. Field Museum of Natural History, Chicago. Insectclopedia. 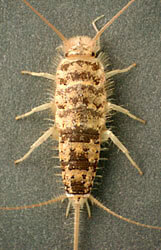 Links to websites about insects. Bugscope. Educational outreach project of the World Wide Laboratory. The Bug Club for Young Entomologists. UK Amateur Entomologists' Society. The Wonderful World of Insects. Class: Insecta. Spencer Entomological Museum at the University of British Columbia, Vancouver, Canada.